Wadsworth, Ohio is a mix of treasured history and exciting new opportunities, and the city’s small town charm hasn’t been forgotten. The blend of everything the city has to offer along with it’s close vicinity to Akron makes Wadsworth a great place for both families and businesses big and small to settle down and call home. At ProTech Security, we recognize that everyone’s situation is different when it comes to security. Where some may be interested in a full set up, others might only be interested in an alarm system. When we sell security systems in Wadsworth, we don’t just walk away. Our team will sit down and fully understand your needs to provide advice on the right custom solution for you. 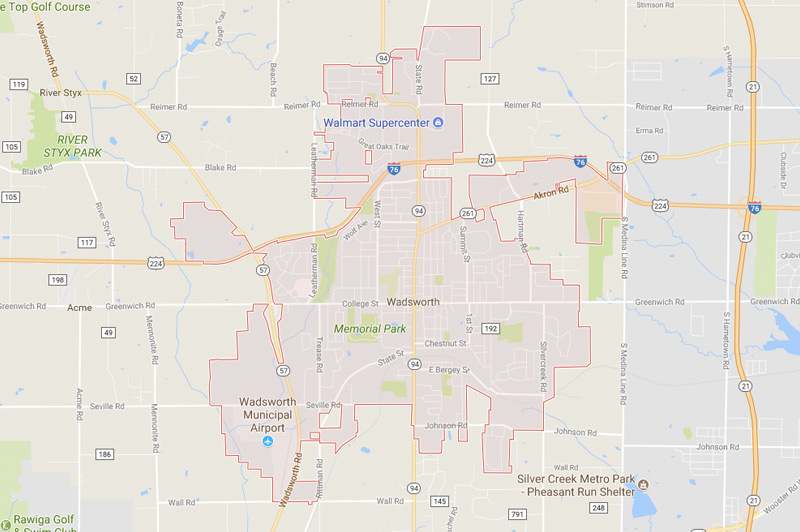 Interested in learning more about your security options in Wadsworth, Ohio? You’ve worked hard to build your business. Who’s working hard to protect it? Our commercial security systems will ensure that your Wadsworth business is securely guarded while you’re working and after you lock up. Security shouldn’t have to be a concern, and we’ll help build the right custom security system for your location to bring you peace of mind. Looking for better security for your home? Our residential security systems are designed to keep your family and important personal assets safe from harm 24/7. Put your trust in a security system you can count on because it was customized specifically to you. Our experts only work with the top technology in the market in order to provide the absolute best security system possible for your Wadsworth home. We also offer custom solutions for educational institutions and government facilities throughout Northeast Ohio. Have a plan in place with our selection of security systems for Wadsworth built around giving you the best protection possible. From immediate gunshot detection to revamping your visitor management, we’ll help you strengthen the security around your building. The ProTech Security Advantage is more than 35 years of service and a strong commitment to providing quality, cost-effective protection for homes, businesses, educational institutions, and government facilities. That includes a forward-looking philosophy that centers on the latest in IP (Internet Protocol) technology and IT (Information Technology), which is built with dynamic, non-proprietary systems. We’re proud to call Northeast Ohio home. For more information about how we serve our neighbors in Wadsworth, contact us today.